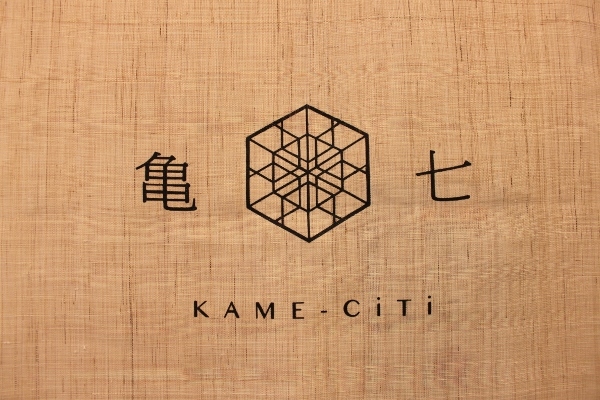 KAME-CiTi is an amazing concept hotel located in the Kameido area. 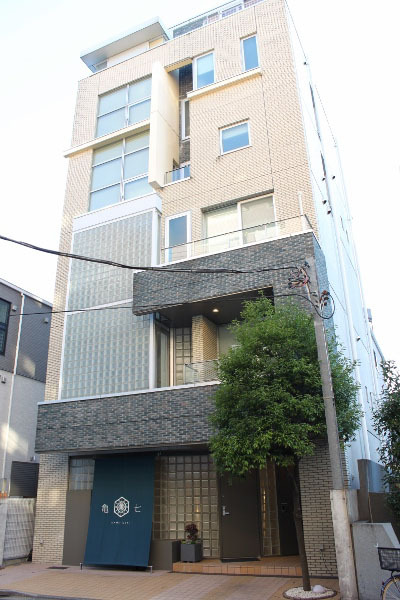 It’s a modern, renovated five-floor building. 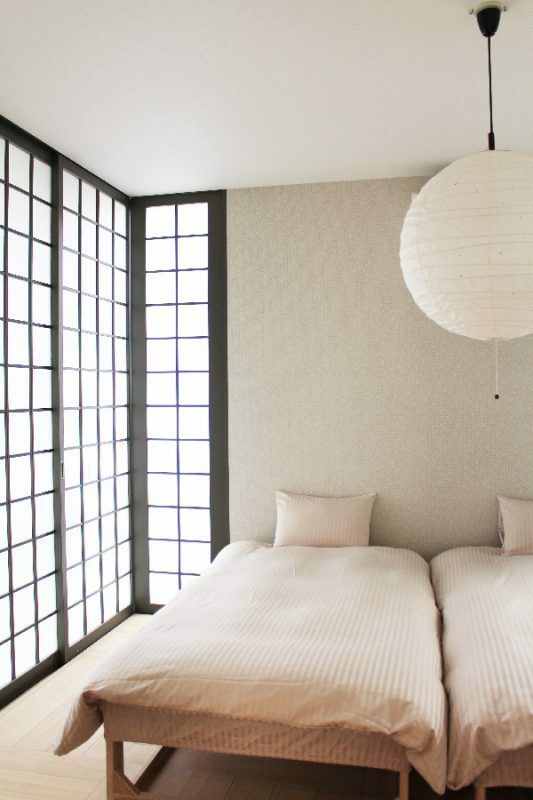 This hotel is the perfect choice for enjoying a tranquil, modern and unique accommodation, while having easy access to the busy areas of Tokyo. It’s just 10 minutes from Kameido Station. Kameido is an interesting area with a lot of things to do, see, and visit, including museums, parks, shrines, and the sumo stadium. Close to Akihabara, Tokyo’s “Electric Town”, Kameido is also only 25 minutes away from Shinjuku. This is the beautiful lobby of the hotel. One of the particularities of this concept hotel is that the flooring is made entirely from Paulownia trees. Paulownia was named in honor of Anna Paulowna, daughter of Tsar Paul I of Russia, and is known in Japanese as “kiri”. The Paulownia flower pattern is also the emblem of the office of the Japanese Prime Minister, the cabinet and the government. 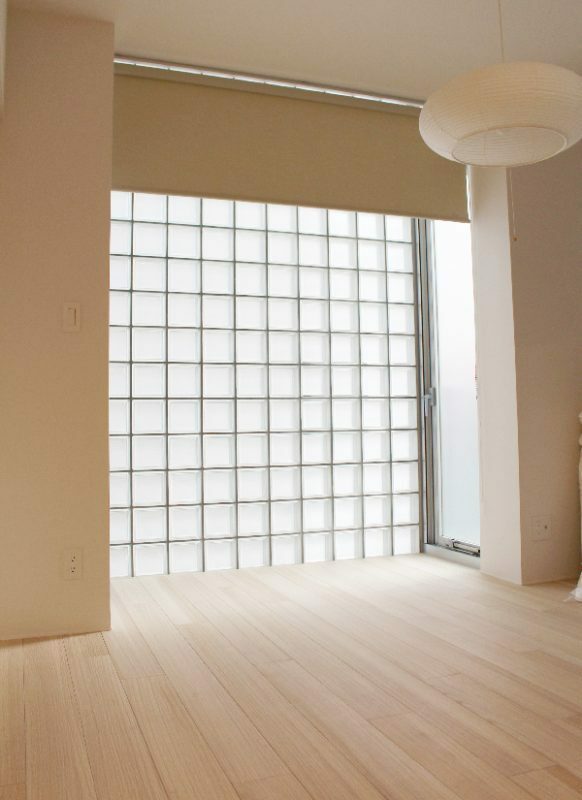 In Japan, Paulownia is traditionally used for making boxes, chests, and Japanese style clogs. Paulownia wood is light but strong, water-resistant, and has a high heat retention capacity. The wood also has a light, pleasant smell. 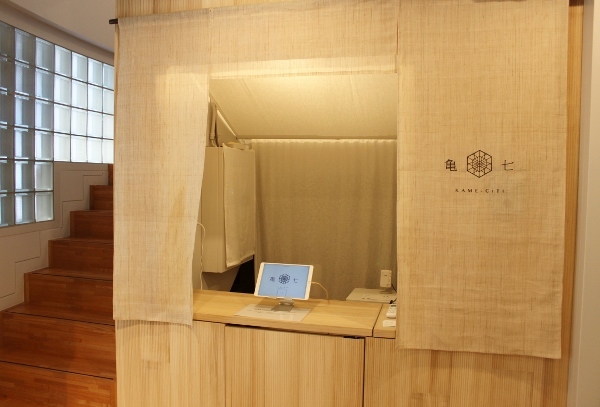 KAME-CiTi has 9 Japanese-style rooms. There are two five-person rooms, two four-person rooms and five double rooms. It’s rare in Tokyo to find such spacious rooms! 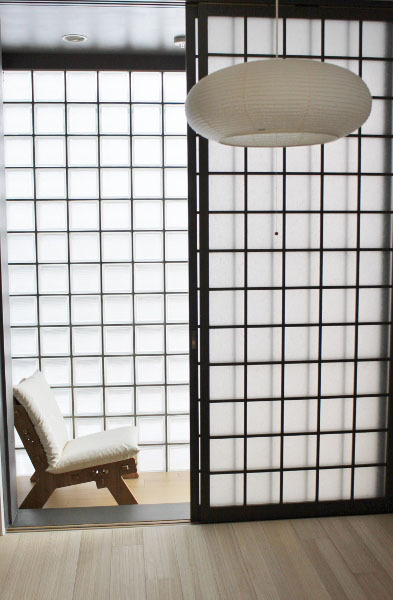 The rooms are very luminous and the mixing of modern and traditional Japanese style is beautiful. They are no TVs in the rooms. It’s a part of the concept of the hotel. It’s an ideal place to find peace and calm after a tiring day of sightseeing. 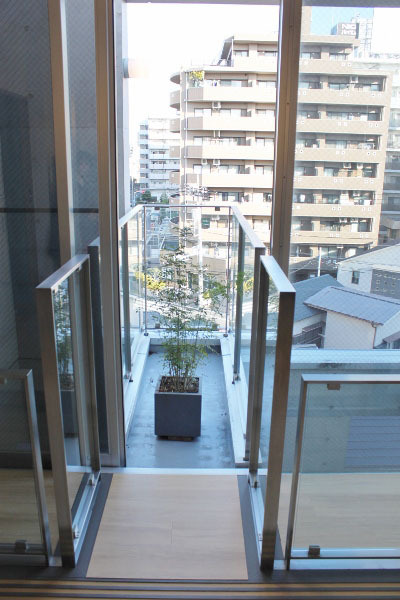 Some rooms have a small balcony from which you can enjoy a view of Tokyo. 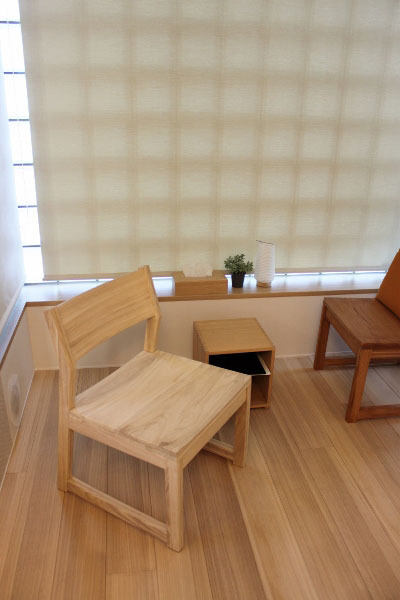 In the rooms, there are Paulownia chairs. A craftsman makes these chairs exclusively for the hotel. 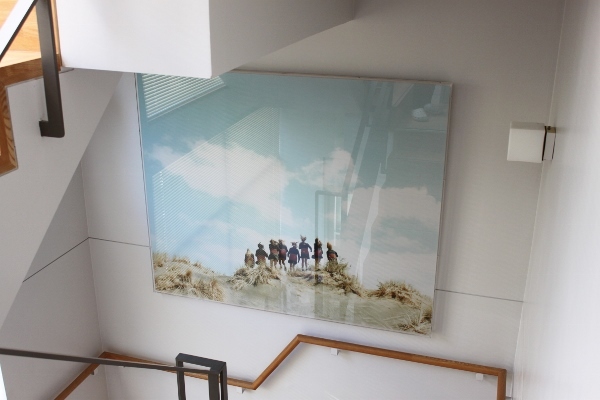 “They are available for sale on order,” said the manager, Mr. Funayama. 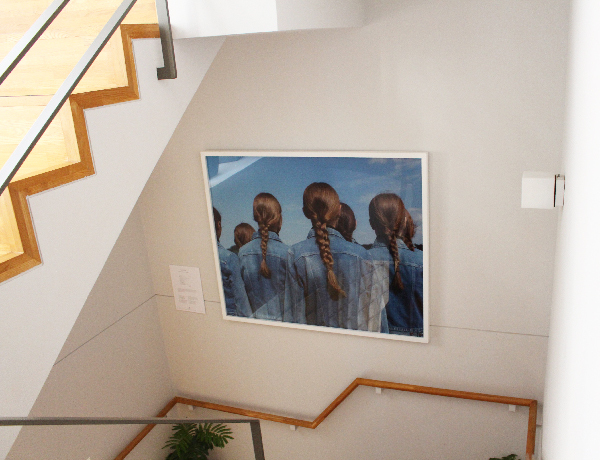 You can admire an exclusive collection of photographs taken by the famous Japanese artist, Osamu Yokonami, during your stay. The pictures decorate the hall and the rooms. It feels like the inside of an art gallery. The hotel often welcomes foreign guests and many Japanese families who stay on the weekend because of its convenient location near a large theme park. The hotel’s website is also translated in English. 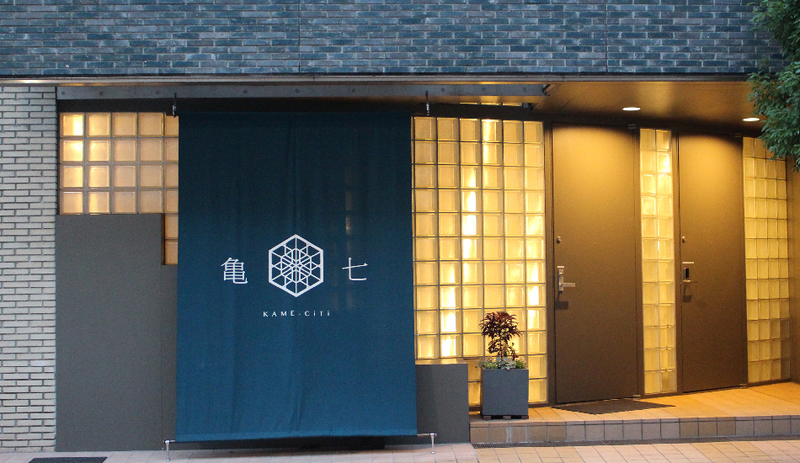 KAME-CiTi has a very serene atmosphere. It just makes you want to stay overnight and enjoying its relaxing ambiance. Have no hesitation to reserve a room at this amazing hotel!